The South East Asia Deployment (SEAD 2018) is an operational deployment that provides an opportunity for Australian Defence Force personnel to positively promote the Australian Defence Force and further strengthen international relations within the area. 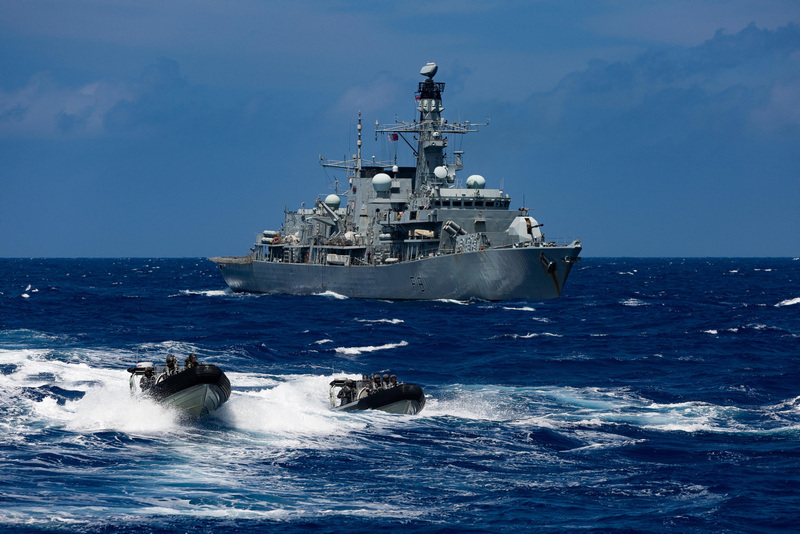 HMA Ships Anzac, Toowoomba and Success will participate in exercises with foreign navies and regional engagement activities with countries in the south east Asian region including Malaysia, Vietnam, Papua New Guinea and Singapore. SEAD 2018 news articles are available on Navy Daily. SEAD 2018 images are available on Navy Image Library. Note: All exercise imagery will remain in the Navy Image Library though the album for the deployment will only remain available until August 2018. 20180320ran8494670_071 HMAS Toowoomba's boarding party return from HMS Sutherland (F81) via rigid hull inflatable boats on completion of a training exercise at sea.